Dubbed fondly as the grandfather of Singapore sculpture, Cultural Medallion recipient – the late Dr. Ng Eng Teng is remembered for his distinctive, large-scale sculptures that depict whimsical interpretations of humanist themes, bringing vibrancy to public spaces in Singapore. In recognition of his contributions to Singapore through these public commissions, one of his iconic masterpieces – Mother and Child – will now be accessioned into the National Collection, joining seminal works by other pioneering artists, including Liu Kang and Georgette Chen. 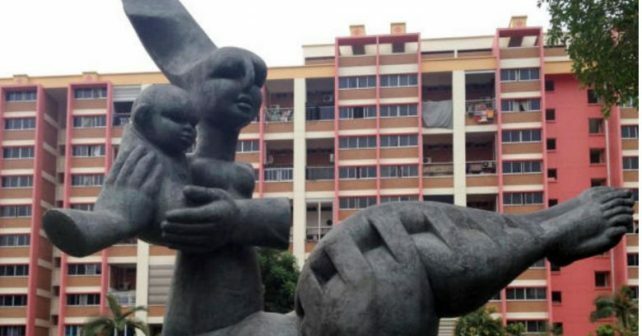 The three-by-three metre-tall sculpture was donated to the state by the late Dr. Ng’s family. Etched out of bronze, the sculpture features a mother in the intimate act of lifting her child, conveying the caring and warm love of a mother towards her child. 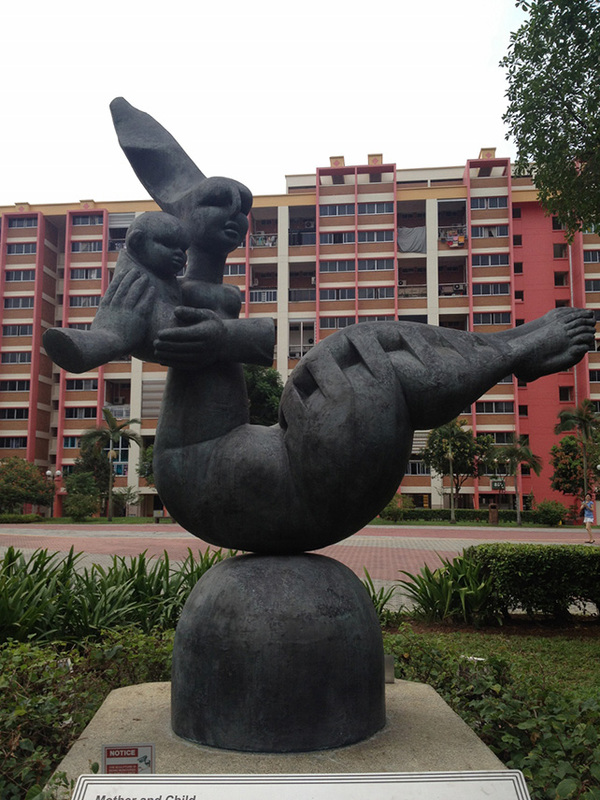 Cast in March 1996, the distinctive bronze signature piece is the second and last in his Mother and Child series of works and is currently situated at Tampines Central Park. Singaporeans would also recognise a similar work which used to be displayed outside Far East Shopping Centre in 1980, and was one of the signature features of the Orchard Road landscape then. Following the donation, the sculpture will be installed in front of the Gallery, and become part of the Gallery’s façade on a long-term basis from 2019. The Gallery previously received major donations including more than 500 works by various Singapore artists from art collector and the Gallery’s founding chairman Mr. Koh Seow Chuan, as well as more than 120 works by renowned Malaysian artist Latiff Mohidin from art collector Mr. Yeap Lam Yang. The Gallery also received a recent donation of 28 artworks and archival materials by Singapore artists Mr. Lim Yew Kuan and Mr. Lim Hak Tai, from their families in 2016.